…. challenge President Mnangagwa to walk the talk on peace. Community Peace clubs established by communities working with Heal Zimbabwe in Tsholotsho North wards 1,3,5 and 8 have intensified their campaign on the need for peace ahead of the 2018 elections. The peace clubs organized a series of collaborative neutral platforms (amalima) from 01-04 May 2018 with the aim of rallying community members to uphold peace ahead of the 2018 elections. The collaborative neutral platforms involved shelling of maize as well as road gulley filling exercises. 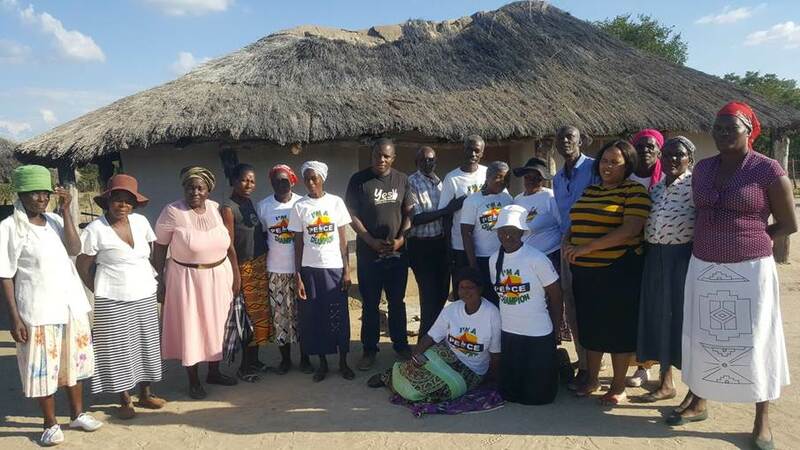 As part of community feedback, the peace clubs reported that they had been monitoring ZANU PF primary elections and urging community members to uphold peace during the process. Issues that came out during the collaborative platforms include the threat of withdrawal of food aid from people who fail to voluntarily submit serial numbers of voter registration slips to Traditional leaders. “Here in Tsholotsho the collection of serial numbers has been subtle but yet Traditional leaders are only giving out food aid to community members who submit serial numbers”, said one Community member. Community peace clubs also reported that as part of target advocacy, they had already started engaging community leaders, political party leaders and youths who pledged for peace during previous sports for peace tournaments so as to amplify calls on the need for peaceful 2018 elections. Heal Zimbabwe also utilized the collaborative platforms to give feedback on the issues that came out during the National Peace and Reconciliation Commission (NPRC) stakeholder meetings that were carried out early in the year. Community members hailed President Emmerson Mnangagwa’s call for peace ahead of the elections but however were quick to point out that such progressive calls needed robust follow up actions such as a truth telling process, reparations, erection of public memorials, facilitation of birth and death records for victims, offering public apologies and compensation on key reconciliation issues such as Gukurahundi. Heal Zimbabwe through its National Peace campaign will continue to campaign aggressively on the need for citizens to uphold peace before, during and after the 2018 elections. A Peace Club is a ward based community group of people who come together to promote peaceful coexistence in their communities. Peace club membership is drawn from diverse local community members that include traditional leaders, church leaders, women, youth, business people, people with disabilities and village health workers.